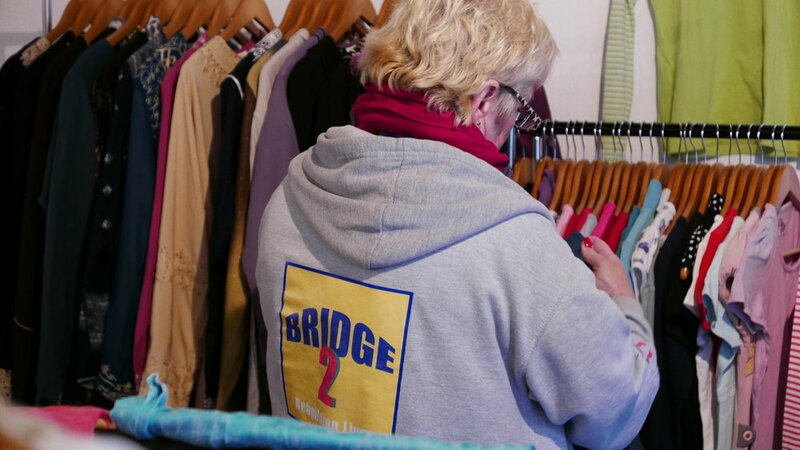 This relies on the donations of clothing or funding from others, again we've had great support with this from across Europe, local Greeks and other organisations (Help Refugees and Epigrafes Nea Magnisia). 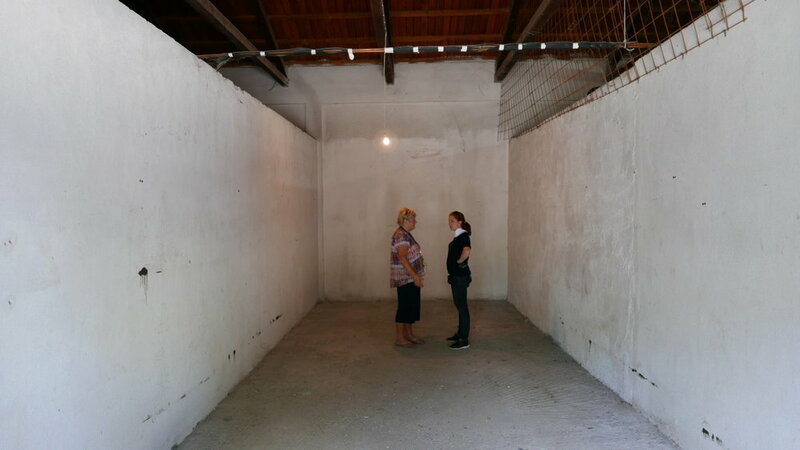 The shop has gone through a few transformations and with the help of Refugees Foundation, e.V. Support for Refugees on the Run we were able to maximise the space for both storage and display in the shop as they put in a ceiling. There is now storage ontop of the shop, double racks for clothing and as an added bonus there is insulation, meaning in the winter when it was -18, we were a little bit warmer than in the other distribution points. There are a few ways in which we stock our shop. 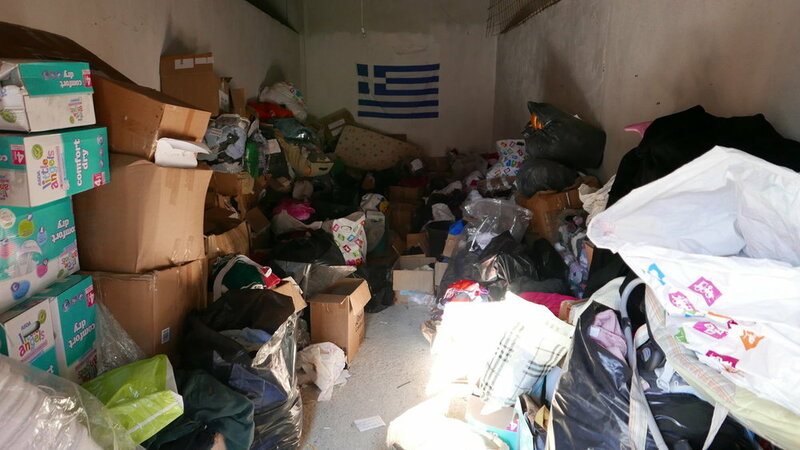 We can sometimes use warehouses like Help Refugees or Nea Magnisia who have done an amazing job in streamlining this process for us - they both have warehouses near to Thessaloniki where they sort and box clothing, usually to order. This saves us so much time and effort. 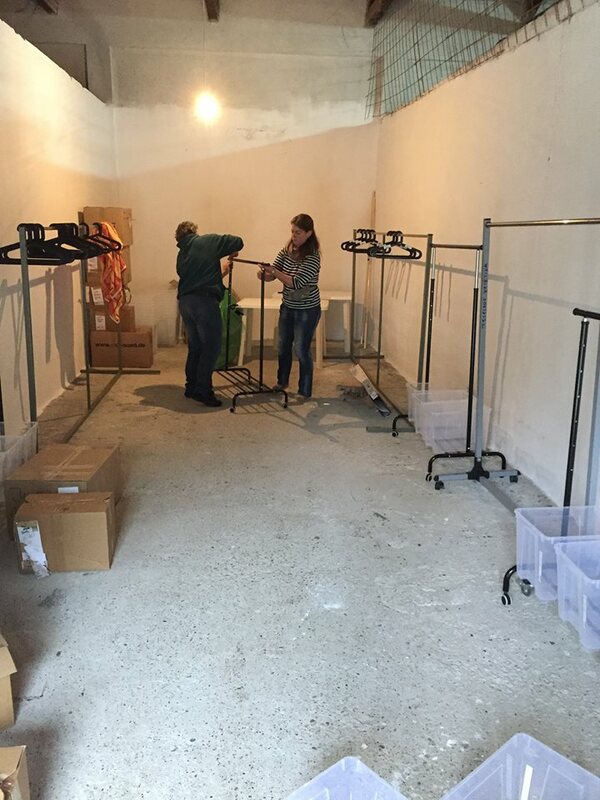 Usually these clothes go straight into our "sorted store" ready to then be stocked into the shop when needed. 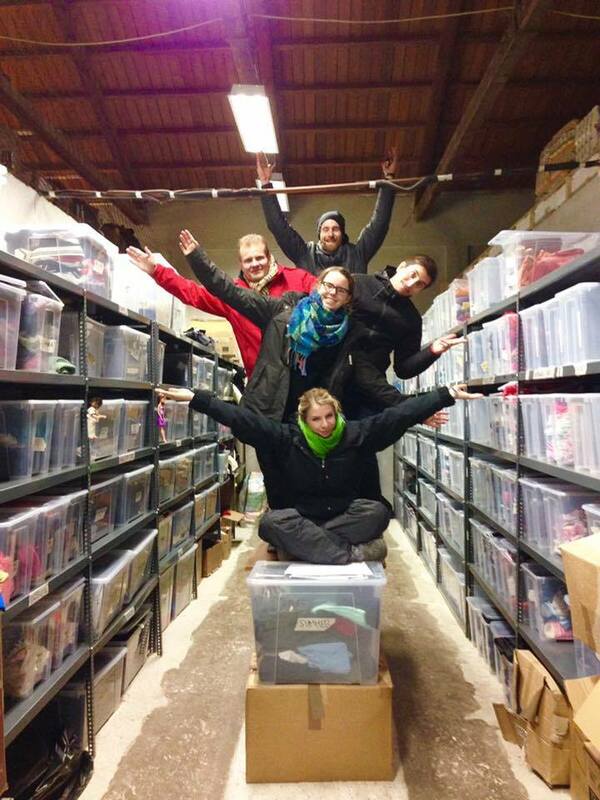 Another method is to have clothes shipped in either by ourselves or brought on the back of a truck by a donor. These usually do need sorting into category and size, it really does take time, however our systems are always improving with the help of volunteers, donors and organisations. 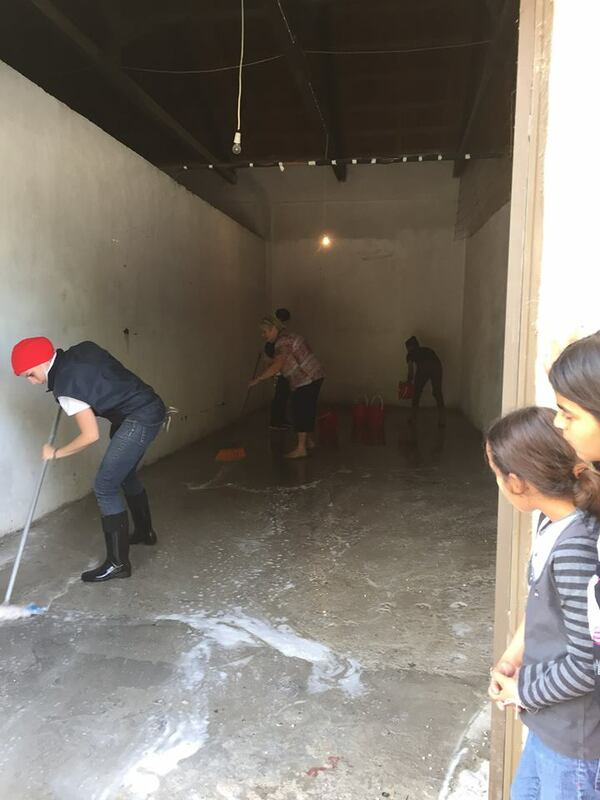 After one of the above, the clothes are then ready to be stocked into the shop by our volunteers and distributed onto the camp! We sort clothing as suitable, "disco" (ie extremely jazzy), inappropriate and items which cannot be used for anything! This little man got himself a bear outfit! 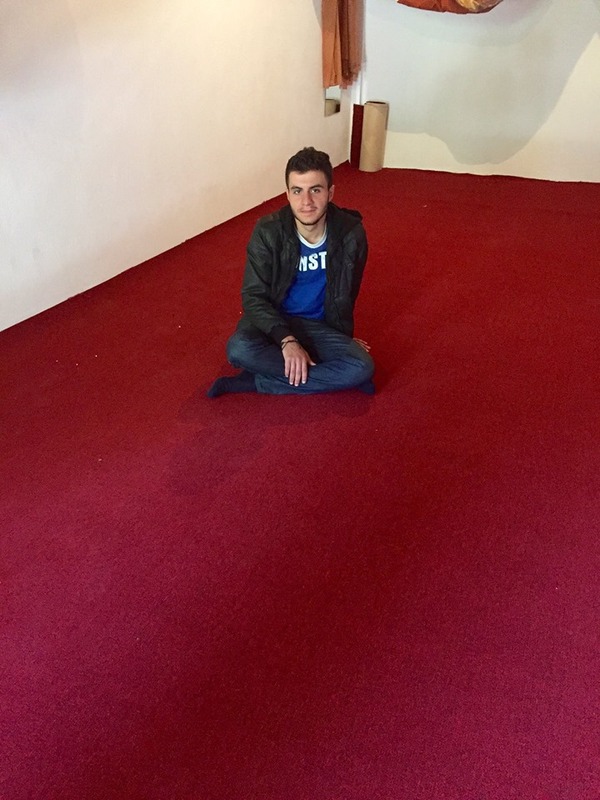 Below is some of the transformation of the clothes shop, from a room of mould, decay and cardboard boxes to a place where people can shop in a clean, calm and light environment. ...and in it's first form, the clothing shop looked like this, ready for the grand opening!